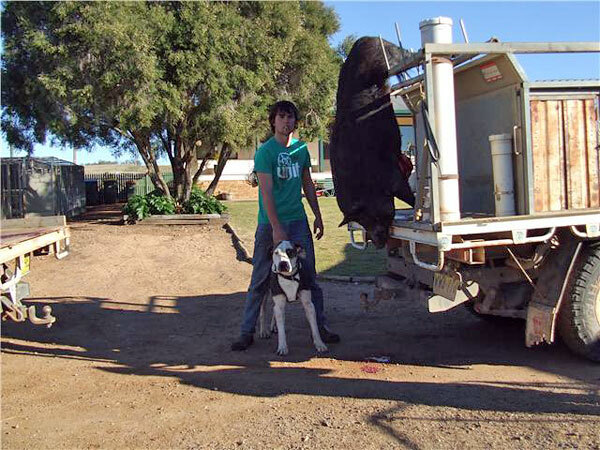 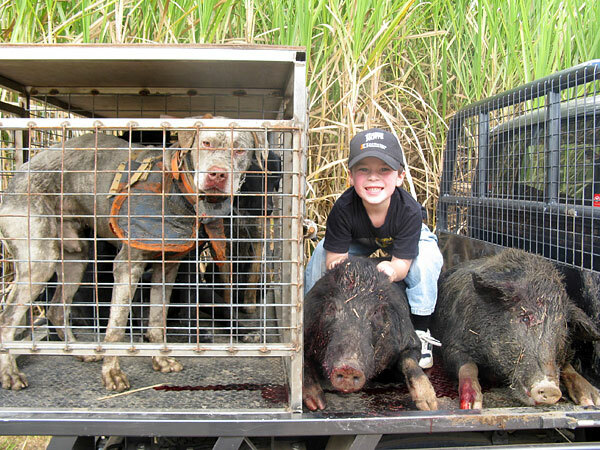 Elicia D - Hubby with a 100kg boar caught in the cane in the Proserpine area 3/8/09. 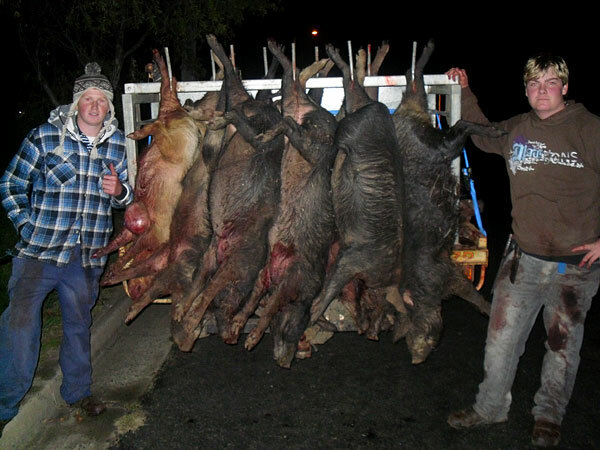 Tom M - Tom, Bobby, Dan and Blake with a few pigs that they have been getting lately. 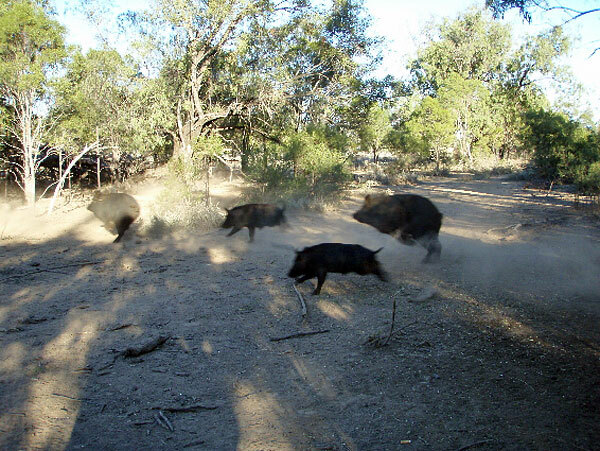 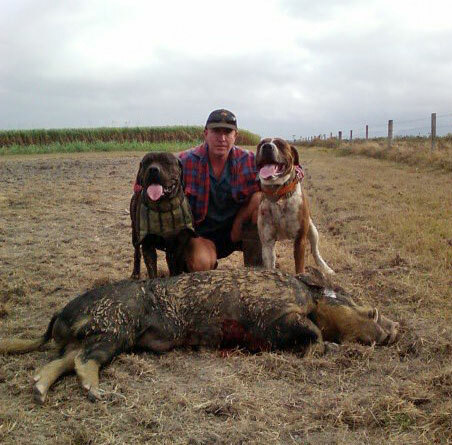 David W - Qld hogs. 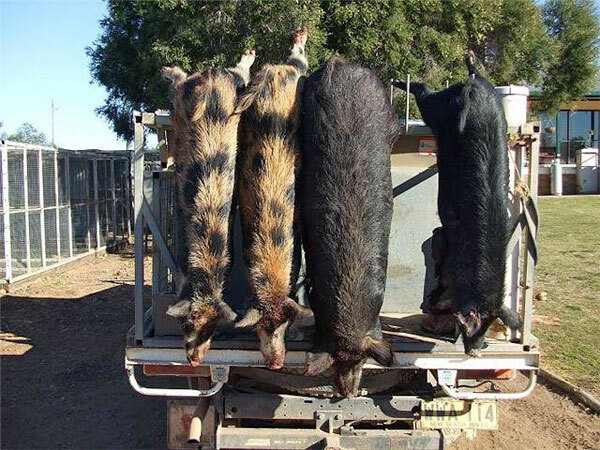 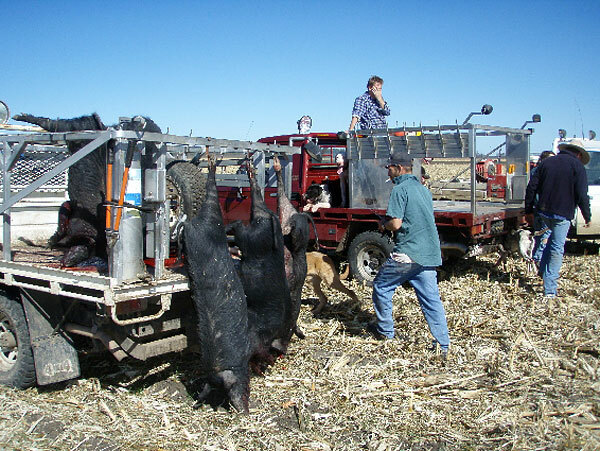 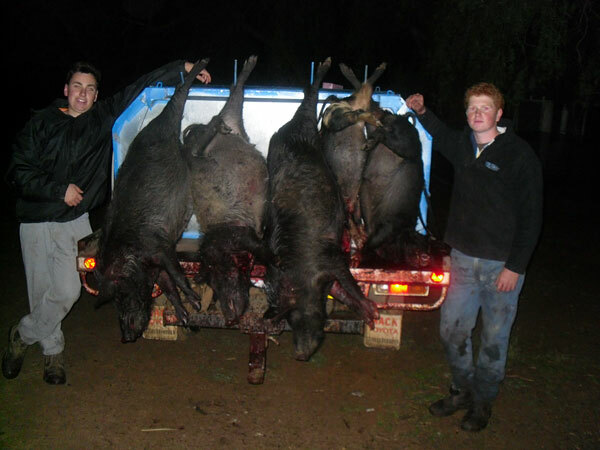 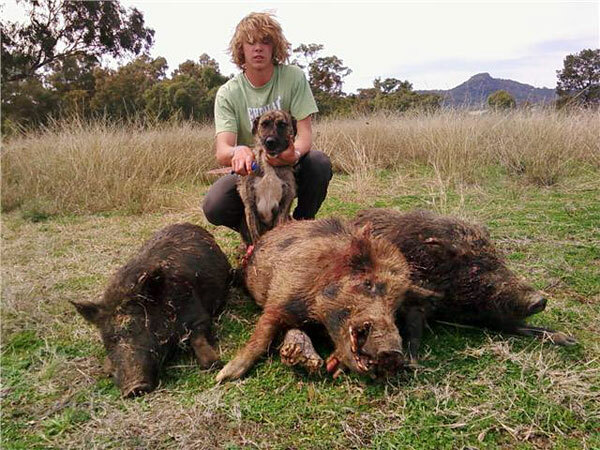 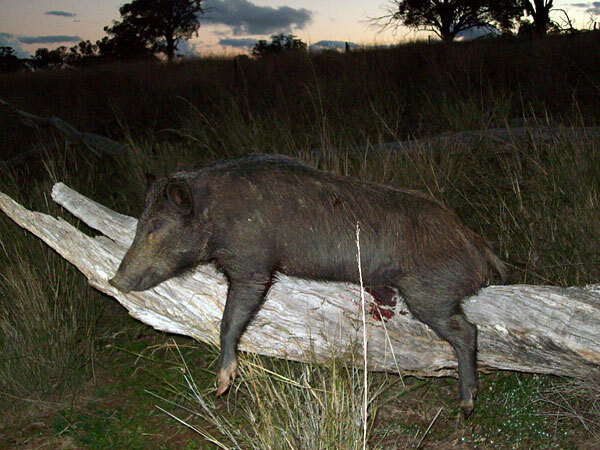 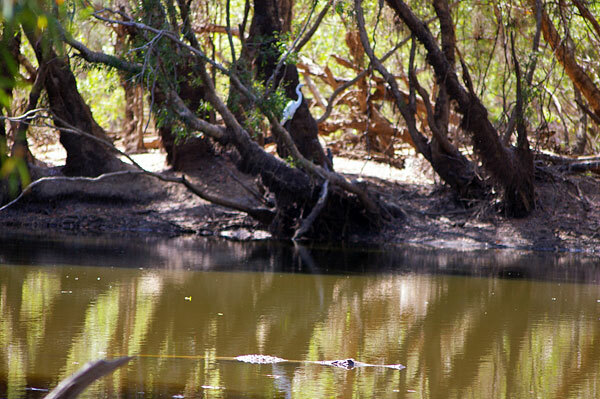 Chester B - Couple of boars caught with the young fella in the cane on the weekend.